so compared to my last outfit post this is the complete opposite. i don't really think i am a natural 'casual dresser' as i always would pick heeled boots over flats, and a dress over jeans and a t-shirt. that being said when i saw this jumpsuit come in at work and spotted the super cheap price tag i told myself "sod it, get it before it goes". it seems i did the right thing too as within two days it sold out from my shop. i'm sure you can still get your hands on it though. now i know i don't look like the model wearing it on the H&M advert but i do like that i can wear it either dressed up; with heels and a statement necklace, or like i've worn it today simple with just some plimsolls. if you would like to see how i would dress it up also please let me know and i'll make a note to do it for a blog post. who knows you might be sick of seeing me show that you can style things more than one way. now i know i always ramble about feminine pieces in my outfits but i do think the only reason i can feel comfortable in this outfit is because the plimsolls are a floral pattern. how would you wear it? p.s i'm in this weeks LOOK magazine! ah it's crazy as it's my first ever feature and yes i did cry when i found out... it's the post i did earlier in the month wearing my boohoo co-ordinate set which you can see here if you want to see it in more detail. I've been looking for a jumpsuit like this for aaaages, looks gorgeous on you :) bet it'd look lovely with a pair of strappy heels. Congrats on the LOOK feature! so gorgeous babe! That jumpsuit is amazing and what a steal! My sisters just got those faaaabulous slip ons and i'm deffo gonna have to steal them! 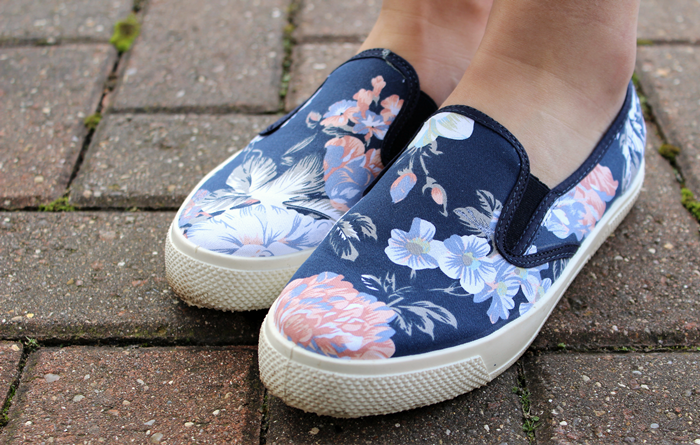 Love these plimsolls! <3 They're so cute, love that flower print on them. 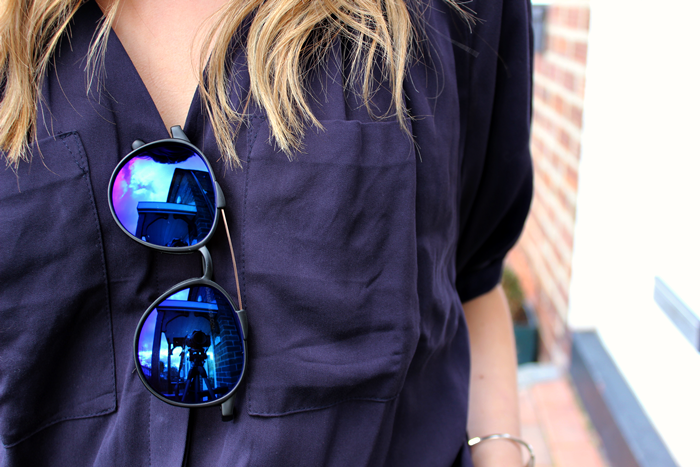 This is such a cool, casual outfit, love it! the pumps are lovely, perfectly brings the outfit together! You look amaazing! I love your hair btw! Loving this look and as always your hair looks fab! Not gonna lie, Just went on the H&M website to try and find this because it's so lovely but sadly its not up there.. I found one similar but it was in black and a bit more going out as opposed to casual. Oh my gosh those shoes! They don't have my size though. Love this outfit. I love the jumpsuit, really wanted it myself! Sadly jumpsuits don't suit my shape whatsoever but I'm vicariously living through you in this as it would be perfect for every day running around in the warmer weather!